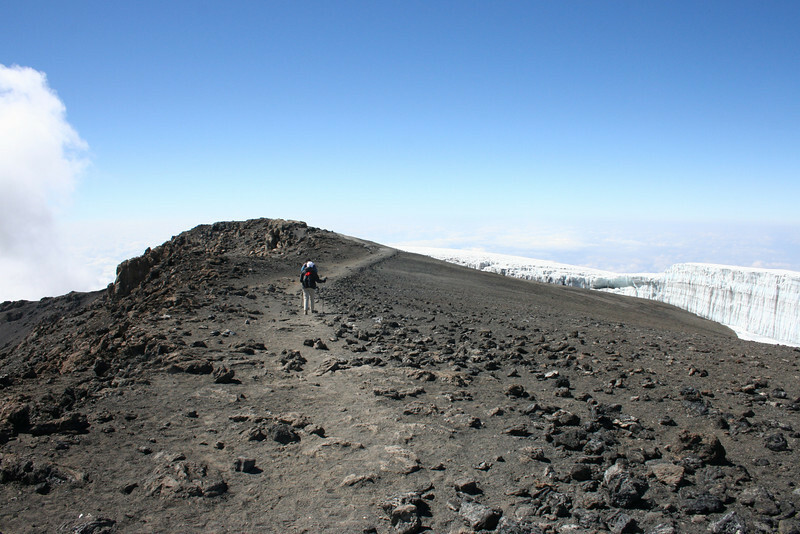 Our climb of Kilimanjaro, Tanzania. 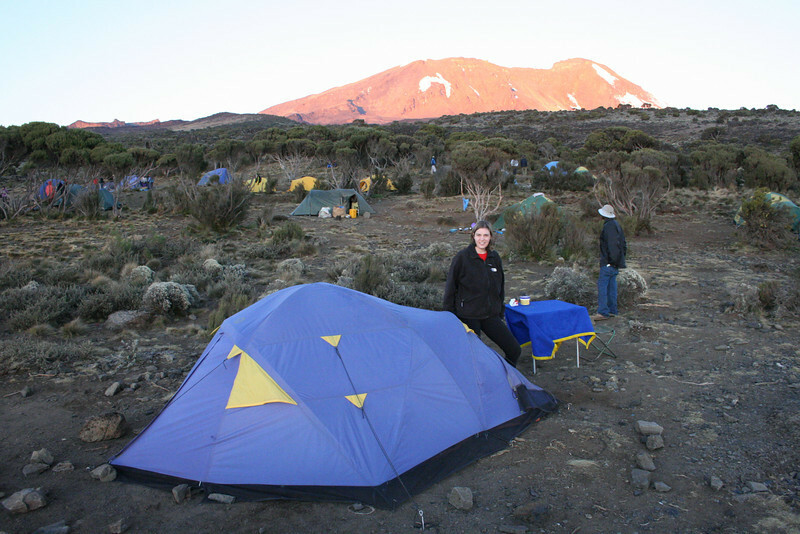 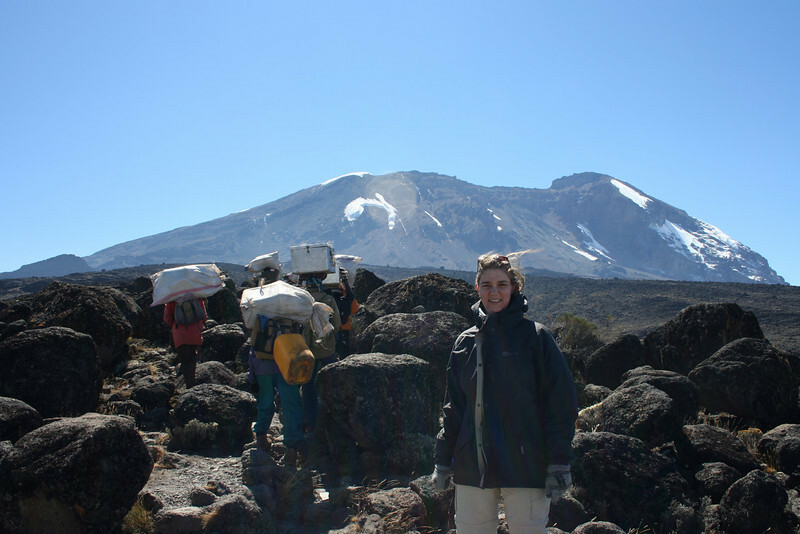 First camp on the Machame Route at 3000 meters. 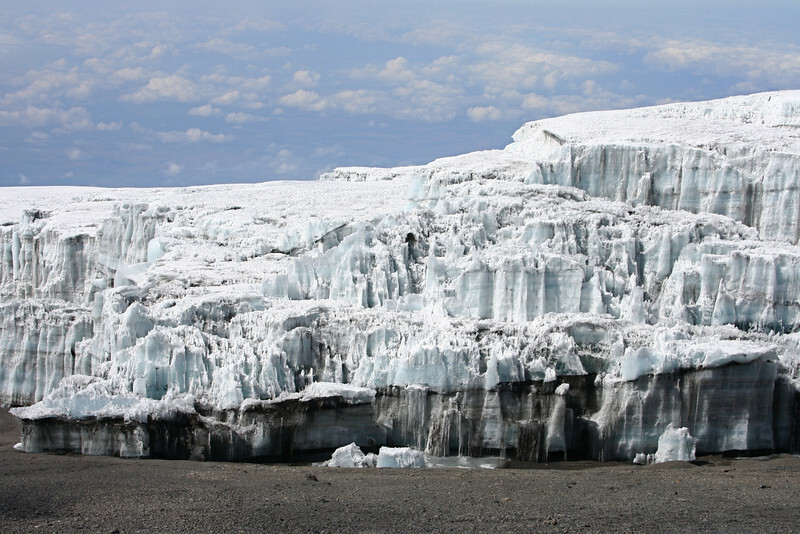 Temperatures around zero degrees celsius. 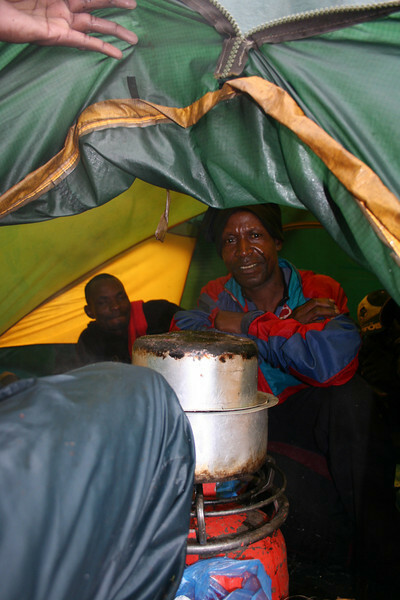 Cooking is a tiny tent, with a very big stove. 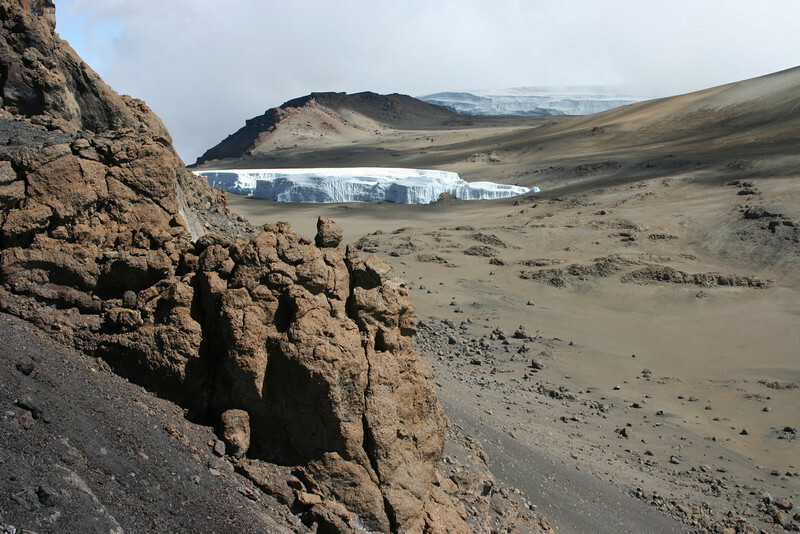 Shira Camp at 3800 meters. 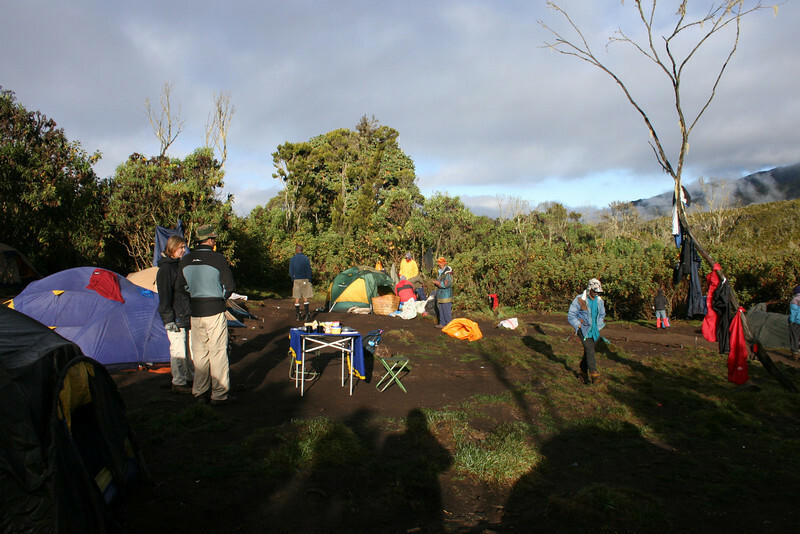 View from Shira Camp on Mt Meru. 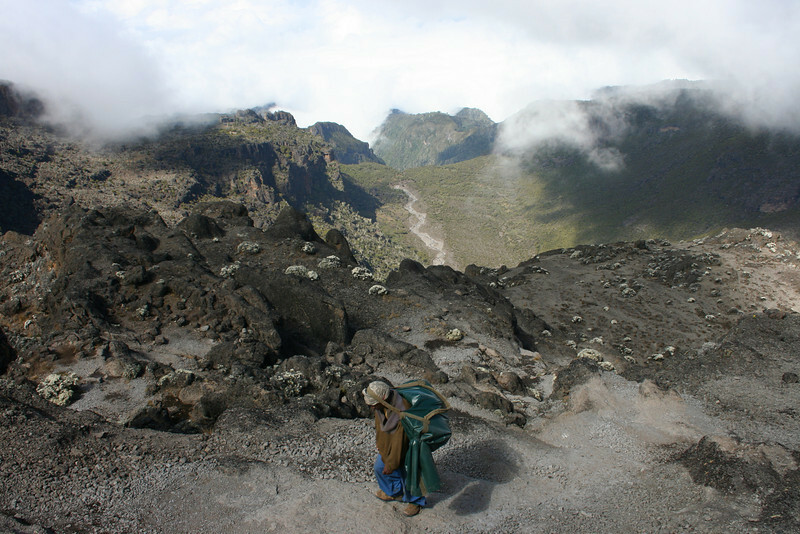 Ascent towards Baranco Camp with the main Caldera in the background. 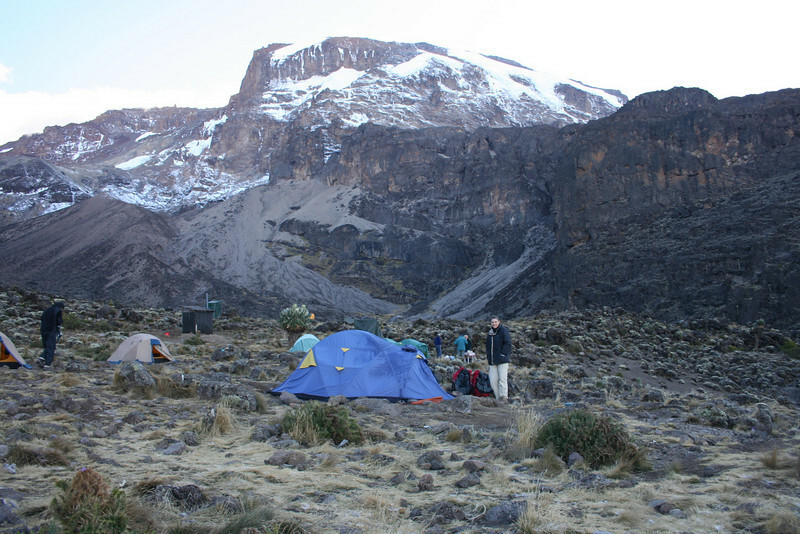 Baranco Camp at 3950 meters. 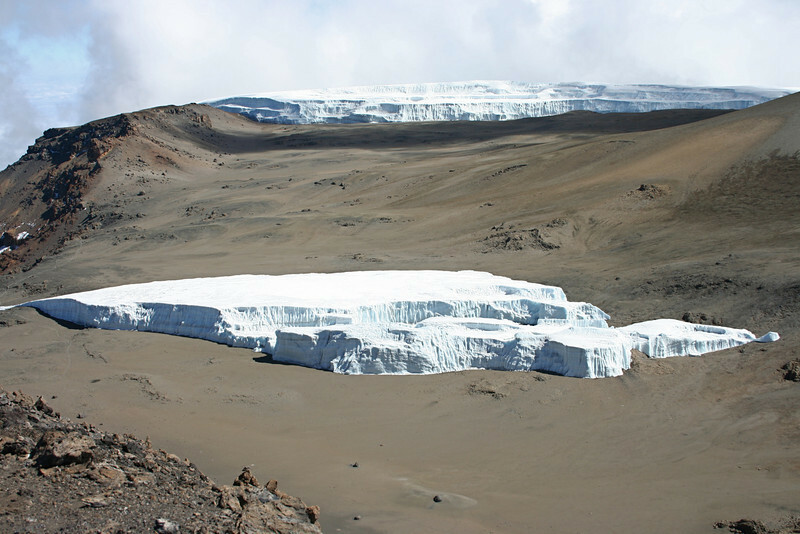 Glacier in the inner caldera of Mt Kilimanjaro. 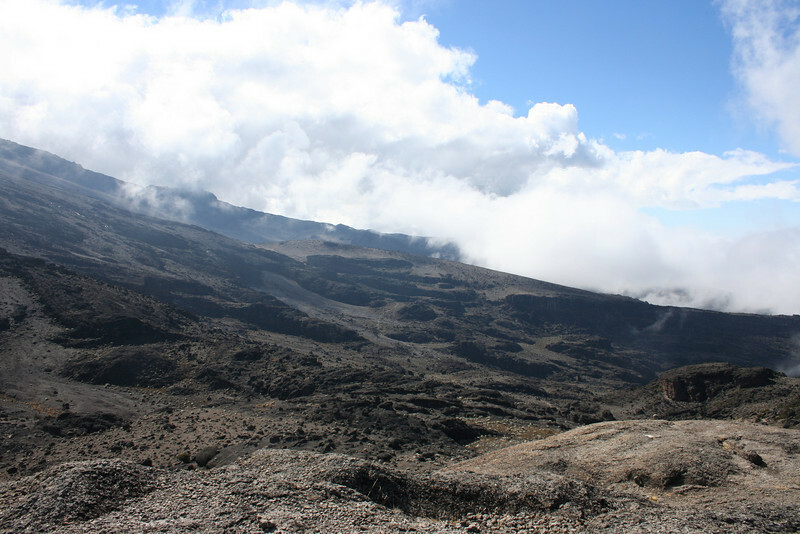 Summit trail close to Uhuru Peak. 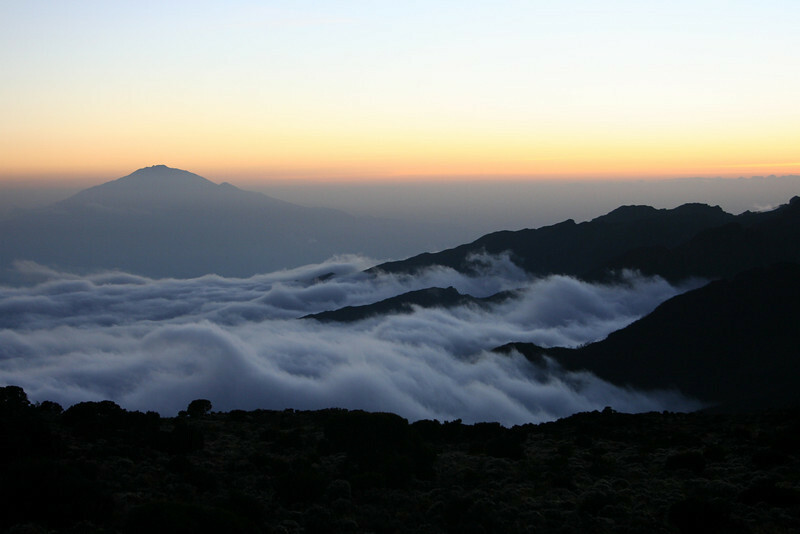 View from the Summit region of Mt Kilimanjaro towards Mt Meru. 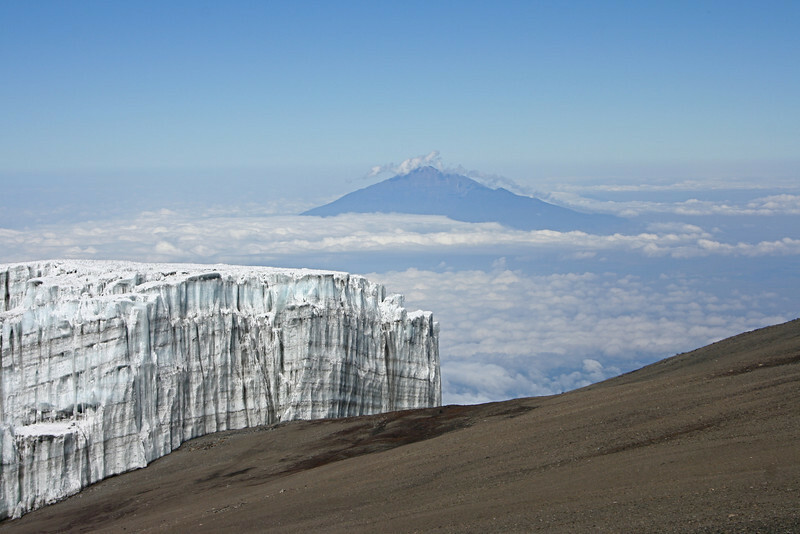 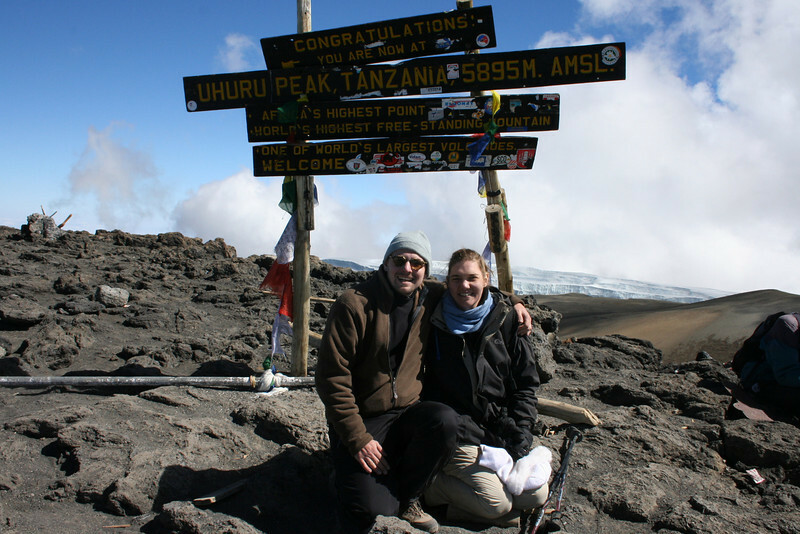 Uhuru Peak, summit of Mt Kilimanjaro and highest point in Africa at 19,340 ft./5,895 mt. 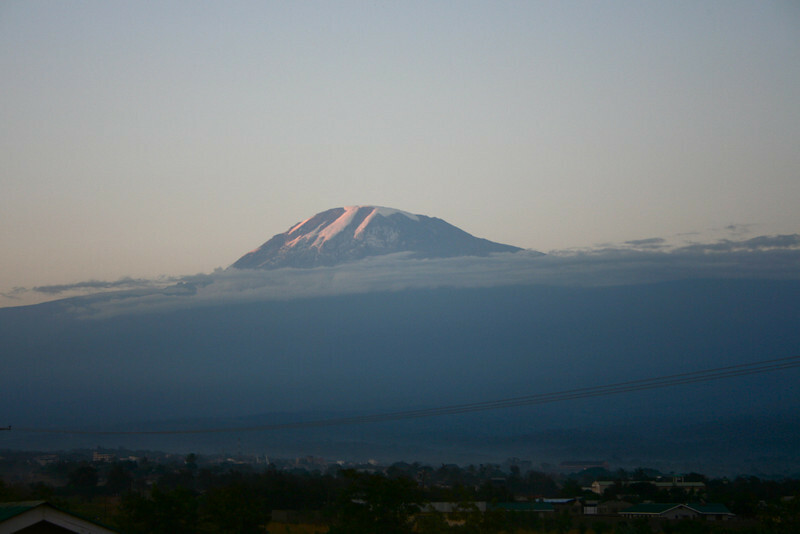 View on Mt Kilimanjaro from Moshi.